The new 2018 Chrysler Pacifica offers convenience, comfort, safety and a sporty new look with the available S Appearance Package. This new model has been re-engineered from the ground up to include a new powertrain, more than 100 available safety features and upgraded connectivity. To compliment new upgrades under the hood and inside the cabin the new S Appearance Package is available to dramatically enhance the exterior appearance of this popular family vehicle. 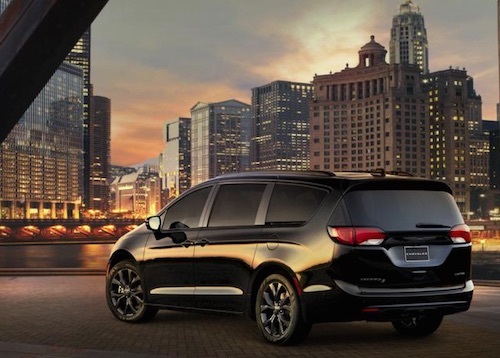 When equipped with the new S Appearance Package the Chrysler Pacifica features sporty black accents inside and out. From the Gloss Black accents that surround the grille, headlamps and rear valance molding to the black eighteen-inch wheels, this minivan is set far apart from the crowd. Key exterior features of the Pacifica S Appearance trim package include Chrysler wing badges with a Gloss Black insert and black “Pacifica” and “S” badges at the rear. Interior features include black seats with light gray stitching, Piano Black accents on the steering wheel, specialty anodized door trim and instrument panel treatments. 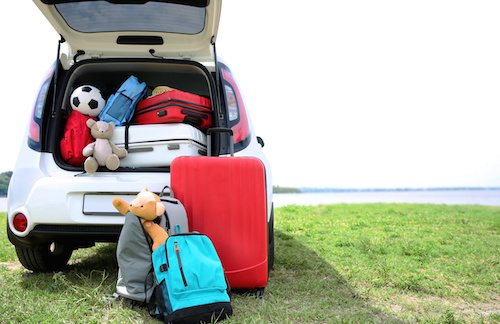 Our Chrysler Dealership near Atlanta offers a full selection of new Chrysler Pacifica models to choose from. If you would like to learn more about this revolutionary new minivan or the soon to be available S Appearance Package please contact us.